Buy: $399.0 Antique British Colonial 3 Piece Dresser & Bookshelf. Really very beautiful! Buy: $1350.0 Beautiful Late 19th Century British Colonial Canvas and Walnut Cot - Military ? Buy: $24.99 SET OF 4 TABLE LEGS. WOOD 29" length Brown Color. $3900.0 Vintage French Sky Blue Sideboard Cabinet Old Solid Pine Wood,119''L X 36''Tall. 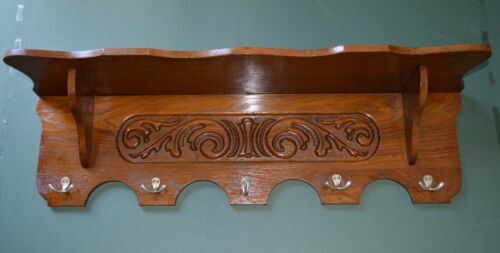 $149.0 ANTIQUE ENGLISH CARVED SOLID OAK PLATE COPPER POT RACK WALL SHELF KITCHEN 32"